Anti-slip that keeps your shiny floors shining! Visitors to this corporate office were slipping on these glossy porcelain tiles when they were wet. 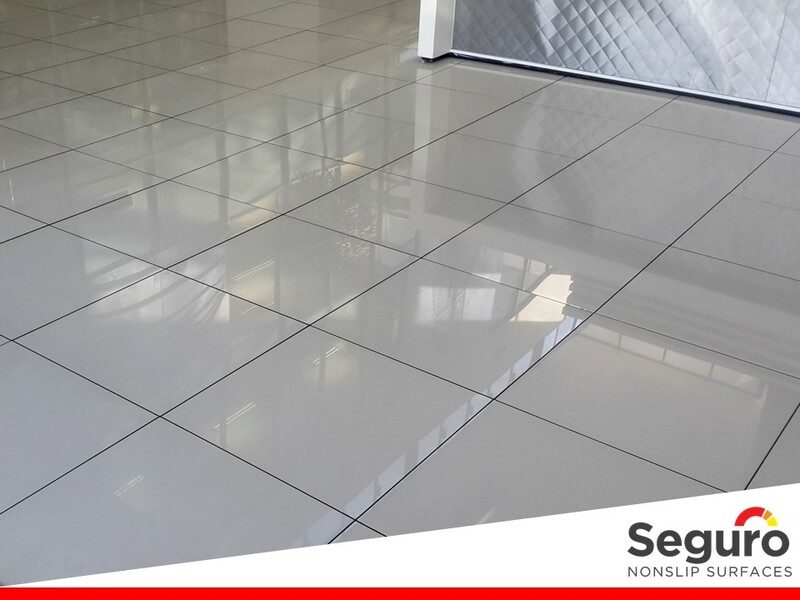 Instead of spoiling the stylish interior design of this spacious office building, the client opted for our “invisible” anti-slip coating.